Victoria Grossack studied Creative Writing and English Literature at Dartmouth College, and is co-author with Alice Underwood of the Tapestry of Bronze series, novels based on Greek myths and set in the late Bronze Age. She is also the “Crafting Fabulous Fiction” columnist at www.writing-world.com. Visit her website at www.tapestryofbronze.com, or contact her at tapestry (at) tapestryofbronze (dot) com. Welcome on My JA Book Club, Victoria ! 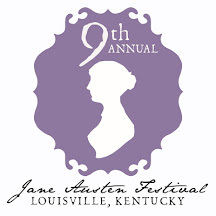 I’m very happy you’ve joined our on line club and you accepted to talk Jane Austen with me. 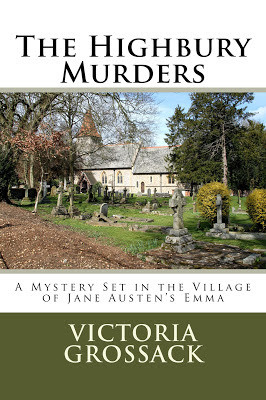 Your Austen-inspired novel, The Highbury Murders, is a mystery set it in Emma Woodhouse’s village. 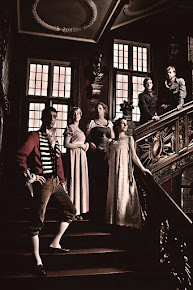 Why Highbury and not Mansfield Park or Longbourn? Is Emma your favourite Austen novel? First, why Highbury? I chose Highbury for several reasons. Emma has been described as a detective story without a body – however, there actually is a body, and hence the potential for a mystery. Second, Emma’s active imagination makes her a natural detective. Secondly, is Emma my favourite Austen novel? That’s extremely difficult to answer. There’s a maturity in Austen’s three later works – Emma, Mansfield Park and Persuasion – which you don’t find in the three that were written earlier – Pride and Prejudice, Sense and Sensibility, and Northanger Abbey. On the other hand, there’s a joy in both Pride and Prejudice and Emma that is absent from the other novels. So, yes, Emma is my favourite but the competition is fierce. Who does the investigating in The Highbury Murders? Mr Knightley has magisterial duties in the region, and in Emma it is indicated that he sometimes meets with Mr Elton, Mr Cole and Mr Weston to resolve local issues. So these men are in charge, with the greatest deference and responsibility given to Mr Knightley. However, because Emma’s mind is so lively, she cannot help attempting to solve the case herself. Her husband, aware of her need for intellectual stimulation, supplies her with details not otherwise available. What about Emma and Mr Knightley? Are they already married in your story? What’s their ménage like? The Highbury Murders is set about a year after the close of Emma, so Mr Knightley and Emma are married, as are the other couples: Harriet Smith and Robert Martin, and Jane Fairfax and Frank Churchill. 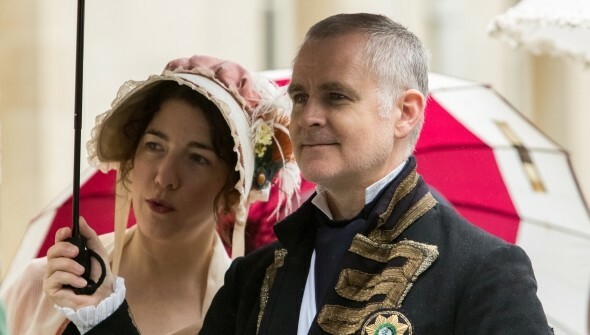 Mr and Mrs Knightley are living at Hartfield, which is what they decided they would do at the end of Emma (they will do so for as long as Mr Woodhouse lives, which Jane Austen indicated in a separate note would be about two more years). They have a baby boy named George, after Mr Knightley. Two of the other recently married couples have also produced children in The Highbury Murders. As Harriet Martin was so indecisive in Emma, I thought it fitting for her not to be able to “decide” whether she wanted a boy or a girl and so inconveniently gave her both. The young Mrs Martin is distracted and exhausted from taking care of her twins. Like Emma, Mrs Elton has had a boy, named Philip for her husband. Little Philip is a few months older than Baby Knightley, and in keeping with her character, Mrs Elton keeps hinting that her little boy is superior to Emma’s son. 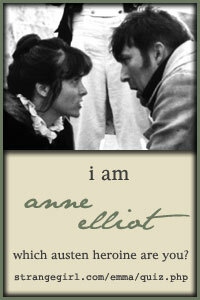 Who is your favourite Austen hero/heroine? Why? 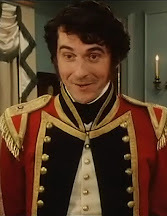 My favourite hero is Mr Knightley, which will surprise no one. He is perceptive, fair-minded, generous and industrious. Of the heroines, I most admire Charlotte Lucas. Some condemn her because she did not marry for love, but she did not have that option. Instead of ridiculing her spouse, as Mr Bennet does, or cheating on him, which is Mrs Rushworth’s solution, Charlotte manages Mr Collins with patience and tact. She saw an opportunity, seized it and made the most of it. What is the appeal of Jane Austen’s world to you? I have no desire to live in her time, but her fictional world is rich and fascinating. As a reader, I appreciate the depth she has put into her characters. They live; they breathe; they are completely three-dimensional. I feel as if I know them. As a writer creating a mystery I also appreciate the limitations of the time period. Emma and The Highbury Murders are set in a world with only rudimentary forensics, so my story can rely on psychology and logic to solve the crimes. What would you miss the most if you could go back and live in the Regency Era? What would Jane Austen appreciate the most in our contemporary world if she had had the chance to live nowadays? I think that as a writer she would thrilled to compose on a computer. I think as a person she would be happy for the independence that women have today. In your opinion, why do we still read Jane Austen’s novels? What can we learn from them? Many people love romances with happy endings; they give us a sense that all is well with the world. 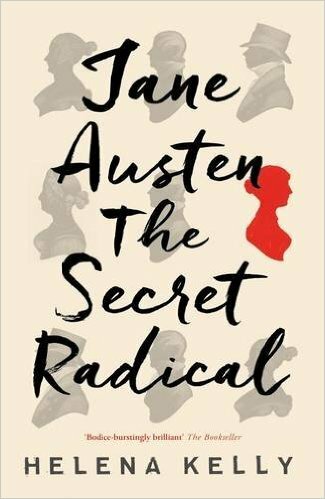 In many respects Jane Austen created the romance genre based on misunderstandings between the hero and the heroine, but she not only created it, she perfected it, so of course we read her books again and again. There is a brilliance in the structure of her books that readers may sense without noticing explicitly. 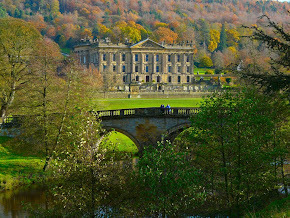 At the micro level, in the second chapter of Sense and Sensibility, Mrs Fanny Dashwood talks her husband out of assisting his half-sisters in one of the most devastating, perfectly constructed pieces of persuasion ever, ending with, “They will have no carriage, no horses, and hardly any servants; they will keep no company, and can have no expences of any kind! Only conceive how comfortable they will be!" Readers can see the absurd contradiction to Fanny’s statements but many of us know of instances in which such arguments have convinced other people. And at the macro level, consider the structure of Pride and Prejudice. Do you realize that Mr Darcy’s first proposal to Elizabeth takes place exactly at the book’s midpoint? The characters spend the first half of the novel damaging their relationship, and the second half trying to repair it. What challenges did you encounter while writing The Highbury Murders? 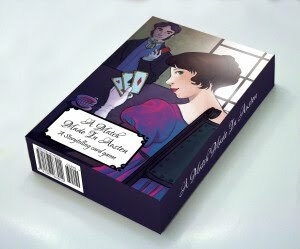 Besides creating a genuine mystery and coming up with an amusing plot, I wanted to stay true to the characters developed by Jane Austen and do what I could to retain her voice. While working on my own manuscript I would frequently open her books to make sure that I was under her influence. Was Jane Austen more a romantic girl or a matter-of- fact woman, in your opinion? Jane Austen wrote about romance, but does that make her romantic? In her own life there is only one attested engagement, and she broke it off herself. Perhaps this emphasizes her romantic nature, in that she refused to marry without love. Or perhaps it proved that she realized that she was not romantic, and that she and her suitor would not be happy together. I think that she would have loved to be romantic, but that in the end she perceived her world too clearly not to be matter-of-fact. How would you advertise your book, The Highbury Murders, in less than 50 words? 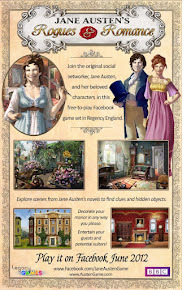 The Highbury Murders combines Jane Austen’s wit with Agatha Christie’s plotting. If you regret that Austen wrote only six novels, The Highbury Murders will be a welcome extension to her world. 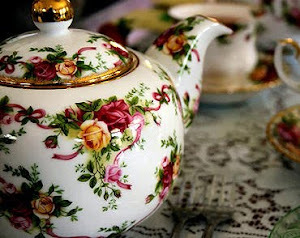 Pour a cup of tea, settle somewhere comfortable, and indulge yourself with the proverbial good read. If you want to win an electronic copy of The Highbury Murders, compatible either for the Kindle or the Nook, then send an email to Victoria at tapestry@tapestryofbronze.com and let her know. Contest closes on June 30th, 2013. Winner will be notified shortly afterwards. I've always had a soft spot for Charlotte Lucas myself. Sure, it would be marvellous to marry for love but Charlotte's chances were dwindling due to her age and a woman's choices were so limited back then. I think she was brave to take on Mr Collins and I also think that because she was shrewd and a good manager that they would both have a fair chance of future contentment. Interesting interview. I enjoyed reading it. Thank you. Oh, this looks amazing! Count me in! I agree with what Ceri said as well - I respected Charlotte Lucas and the fact that she stood by her decision and made the most of it. The difference between practical and spoiled upbringings, perhaps? I really love the sound of this one! Thank you for bringing to out attention! I love mysteries and the author's reasoning for choosing Emma and Highbury are very valid! And the winner of the giveaway for The Highbury Murders is Amanda Roe! I want to thank everyone for entering and I hope they'll consider reading it even if they didn't win. And if you have more that you want to discuss regarding Charlotte Lucas or anything else Austen, please continue.